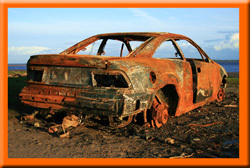 Rustyco is often used as the solution against when restoring cars. This includes removing rust from doorsteps, mudguards, bonnets, etc. Practically any part of the car can be de-rusted with Rustyco and is therefore often available from car shops. RUSTYCO ® Copyright © 2019. All rights reserved.